The jacket you’re intriguingly hawk-eyed towards is one fine garment piece of PU leather construction. The detailed workmanship intended on this Rose Tyler Jacket is nothing but to give you a genuine feel to the original outfit being worn by the actress Billie Piper herself. Meticulously schemed on and built with a close-call reference in mind to the on-screen merchandise. Girls would definitely love this if they’re really into the popular British sci-fi television series that has gained wide recognition among a few gapped generations. Teenagers and adults alike have applauded Doctor Who series which contains a comical touch of characters with entrancing extra-terrestrial hybrid recalling telltales. 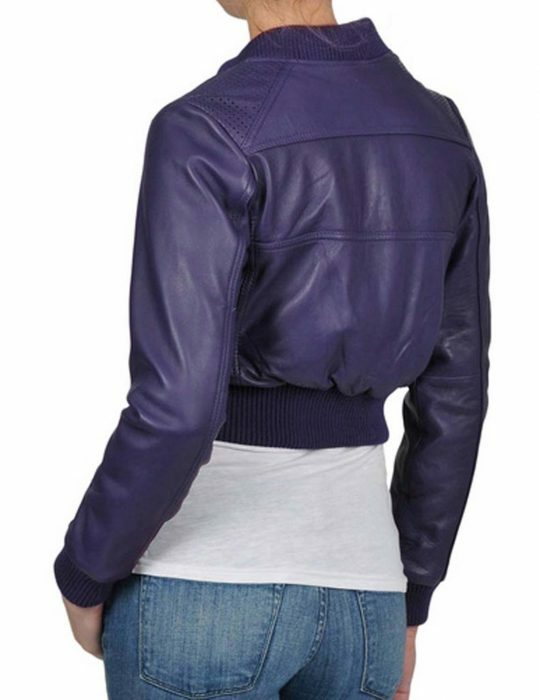 A few features to talk about here of this Rose Tyler Bomber Jacket covers the collar, cuffs, hemline, and pockets facets. First off is the collar that inculcates a rib-knitted version, offering you a snugly tone over your neckline. The next part that makes this outfit a pure closet collect are the ingrained pockets. Three zipper cossets are added on the anterior for your daily prerequisites upkeep. The sleeves and long and involvedly entail the same composure as of the collar – rib-knitted maneuverings and so as on the hemline. This is a handy merchandise for the money if you’re looking for a supreme synthetic sophistication.